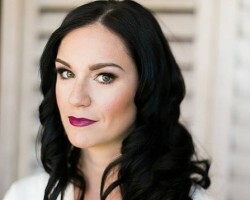 Kandice is a certified makeup artist in Chula Vista, CA. She began her make-up career in 2009, where she does bridal makeup, makeup for photoshoots as well as makeup for special occasions. She has earned herself good reviews on Yelp and other websites due to her excellent work. Additionally, she runs a blog where she blogs about makeup. Kandice also does great cover-up work if you have scars, Rosacea or acne. Valerie Cazarez is the great artist behind Brides Amore who loves to make women feel beautiful about themselves. Brides Amore specializes in professional wedding hair and make-up. Of course, they do sweet 16, prom shoots, and other special occasion makeup as well, but weddings are their forte. Package prices and services are transparent on her website. If you are looking for a permanent makeup artist in Chula Vista, MPi Clinic should be your one-stop shop. Shelby McIntosh, who is the makeup artist behind MPi Clinic has permanent makeup herself, something that’s a great indication of what you can get. Eyebrows, eyelashes, lips, and cellulite are the areas she mostly targets. Everything at this local clinic is well maintained and is OSHA-approved. Hawiza Sharpe is an affordable Chula Vista makeup artist for the residents of the city. She studied locally in Chula Vista after which she moved to FIDM in Los Angeles, CA and now runs her make-up business out of San Diego and surrounding areas. Hawiza also does makeup for fitness and bikini competitions as well. She applies wedding makeup in a more natural way, compared to a lot of other artists around. She also does updos for hair on the special day. Located at Sola Salon Studios in the Otay Ranch Town Center in Chula Vista, California, Lupita loves to do creative makeup. She has severally been invited to give the best tips on makeup and hair at many TV shows due to her vast experience and knowledge in the industry. To help attract more clients, she offers her new customers a $20 discount for the first service. Lupita also teaches makeup application at $100/hr to those who want to learn how to apply professional makeup. She charges her customers $65 for a normal make-up application.